Prosecutors don't expect to charge Christopher Hasson with any crimes linked to domestic terrorism. 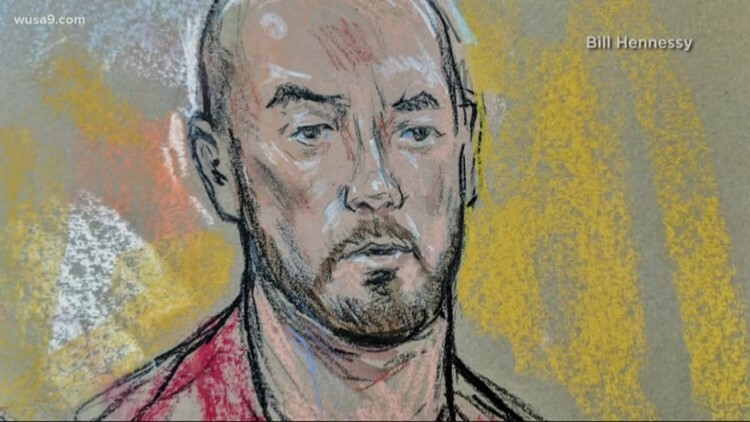 WASHINGTON - A Coast Guard lieutenant suspected of plotting a mass shooting is looking to get out of jail, after court filings showed prosecutors do not expect to charge him with domestic terrorism. Christopher Hasson has been in custody since February 15. Prosecutors previously called the Silver Spring resident a 'domestic terrorist' and said he intended to murder innocent civilians on a scale rarely seen in this country. Investigators said he was stockpiling weapons and keeping a list of prominent citizens. 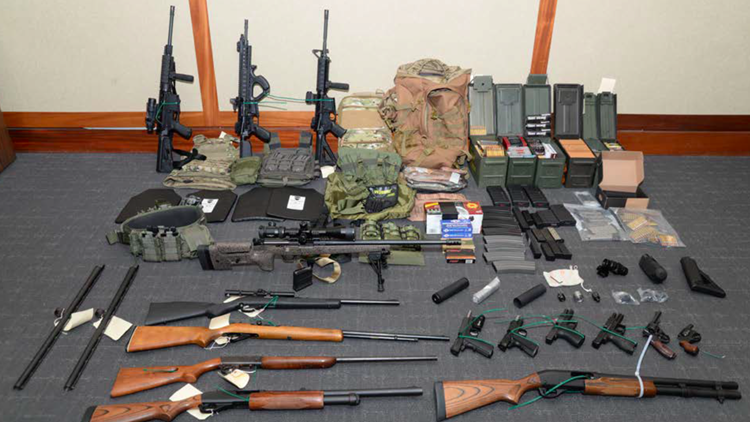 The Coast Guard lieutenant and Marine Corps veteran amassed a $14,000 arsenal in the past year, including nine rifles, six handguns and 1,000 rounds of ammo. A photograph of the guns located inside Hasson's home in Silver Spring, Md. His hit list spared few in the upper echelons of Democratic politics. Prosecutors said his work computer in Washington contained detailed search histories of the Unabomber and Virginia Tech gunman. In February, a judge said he was willing to order Hasson's release if prosecutors did not bring more serious charges. The case will still likely head to trial, but the question remained Tuesday night: will Hasson await his day in court at home or behind bars? Hasson has pleaded not guilty to all four charges he faces in federal court. The earliest this could go to trial would be June or July.